Edinburgh head coach Richard Cockerill. 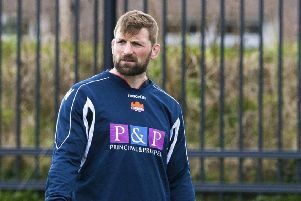 Edinburgh coach Richard Cockerill insists he had no qualms about putting John Barclay straight in from the start as he makes his long-awaited debut for the team in tonight’s vital Guinness Pro14 clash with Conference B-topping Leinster at BT Murrayfield. 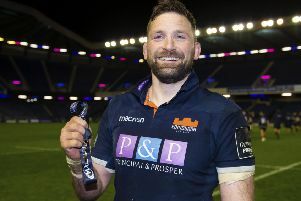 Barclay was Cockerill’s big signing for this season but hasn’t had the opportunity to utilise the 32-year-old’s vast experience and pedigree after a ruptured Achilles tendon forced the then Scotland captain into a ten-month lay-off. After such lengthy injuries it is often the case that players are eased back in with a stint off the bench but Cockerill has thrown the 71-times capped forward the No. 6 jersey at the earliest opportunity. “The best thing for Barcs is to have a good training week, do everything, start the game and get his head round starting and just go as hard and as long as he can,” said the coach. “He has trained well and you can see his experience and what he brings to the group. But, obviously, he hasn’t played so we will see how he goes. Cockerill, who knows there is no more room for error if Edinburgh are to return to the Pro14 play-offs, has named a strong side, featuring four of those who took part in the weekend’s Calcutta Cup classic – Darcy Graham, WP Nel, Ben Toolis and Hamish Watson. There is also a welcome return for Scotland centre Matt Scott, who has not featured since suffering a head injury in the home European win over Toulon back in October. “He’s obviously been a little bit frustrated,” said Cockerill. “We’ve been very cautious in looking after him, for all the right reasons. I think Chris Dean has played very well, but this is a good opportunity to give Matt a run. “To get two guys like Matt and John who haven’t played is good. Matt is a big powerful centre and it will be a good contest. [Opposite number] Joe Tomane has been out for a little while for them as well so both sides have got guys coming back from injury who need game time. Leinster have the luxury of resting most of their big Test stars for this one, which opens the door for Edinburgh to look to climb back from the fifth-place spot they currently occupy in the Conference after struggling during international windows this season. “To be fair, if we hadn’t put ourselves in a hole around qualifying for the play-offs then I would probably have made different decisions,” explained Cockerill. “Working alongside [Scotland coach] Gregor and [director of rugby] Scott Johnson, looking at resting guys and game time over the season, we’ve been able to put a good side out that should see us be more than competitive. With that in mind, Cockerill was unequivocal when asked if he will be in a position to pick his best team for next weekend’s huge Heineken Champions Cup quarter-final at home to Munster. “100 per cent I’ll be picking my best team,” said the Englishman. 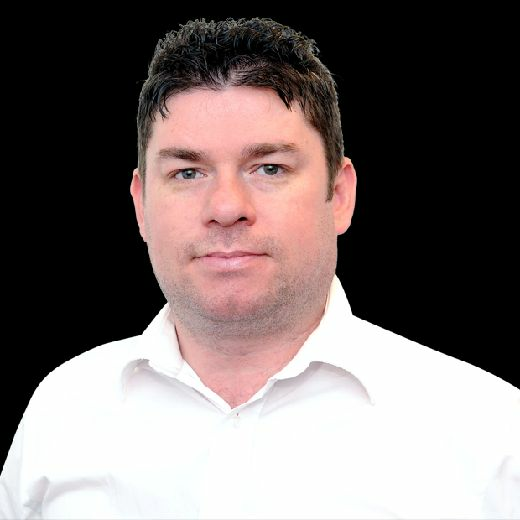 “They’ve got a very deep squad and they’ve still got some experience in the team that they’ve picked, and we’ll treat them with the respect that Leinster should be treated with. “We know how important it is for us, and the psychology of Leinster will be up to them to decide, but I’m sure there’s a few guys in that team that want to prove themselves for next week to be in their Champions Cup team. “But we’ve just got to get on with what we’ve got to get on with. I expect the team that’s been picked to perform. We need to win more than they do: that doesn’t mean that we will win, we need to make sure that we go out there and play as well as we can and take the game to them. 5, Ben Toolis, 6, John Barclay, 7, Hamish Watson, 8. Viliame Mata. Subs: 16, Cameron Fenton, 17, Allan Dell, 18, Simon Berghan, 19, Callum Hunter-Hill, 20, Magnus Bradbury, 21, Charlie Shiel, 22, Simon Hickey, 23, Chris Dean.